A second student at Marjory Stoneman Douglas High School has died in an apparent suicide. A second survivor of the Parkland school shooting has died in what police are calling an apparent suicide, officials said Sunday. Coral Springs officers found Calvin Desir, 16, on Saturday night. He was a sophomore at Marjory Stoneman Douglas High School. The Broward County Medical Examiner's office has not officially ruled on a cause of death, police said Tuesday. The investigation is still ongoing. On Monday, Broward Schools Superintendent Robert Runcie tweeted about the sudden tragedy, saying that he met with the young man's family on Sunday. "It is with great sadness that I report to you that a student enrolled at Marjory Stoneman Douglas committed suicide yesterday evening," he said. "After visiting with the his wonderful family today, I got a sense of what a great young man he was. Please hold up this family in your prayers." It is with great sadness that I report to you that a student enrolled at Marjory Stoneman Douglas committed suicide yesterday evening. After visiting with the his wonderful family today, I got a sense of what a great young man he was. Please hold up this family in your prayers. News of the teenager's death comes days after 19-year-old Sydney Aiello was laid to rest. 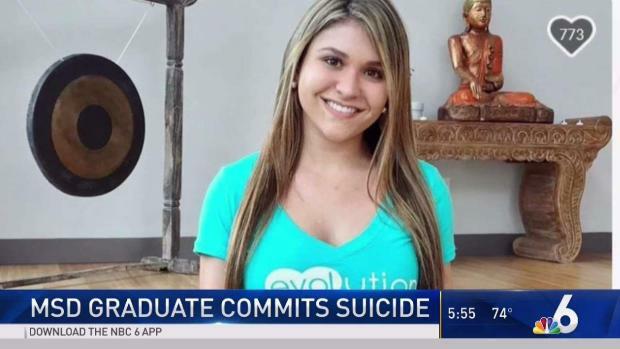 Aiello – a graduate of the school who also survived the shooting – died by suicide last weekend. Ryan Petty, whose daughter Alaina died in the school attack, started the Walkup Foundation to raise awareness of mental health issues both to prevent mass shootings and to help those suffering after they occur. "It’s devastating, it was hard enough to lose the 17 and to think that more people are suffering to the point where they feel like they need to take their own life, it’s heartbreaking," Petty said of Aiello's death. The American Psychological Association states that survivors of mass shootings have improved long-term outcomes when helped by the community and by having access to mental health support. "As a community psychologist, I've seen firsthand the importance of mental health promotion efforts that have nothing to do with counseling per se, but that help the community heal together," University of California, Santa Barbara, assistant psychology professor Erika Felix, who led a study on the subject of mass shooting survivors, wrote in a statement. 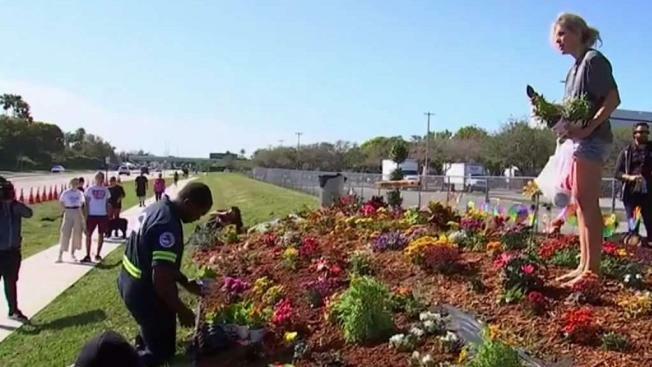 Parkland Mayor Christine Hunschofsky is urging her community to visit the Broward County Resiliency Center if help related to mental health is needed. Located at Pine Trails Park at 10561 Trails End in Parkland and open from noon until 7 p.m. on weekdays and 5 p.m. on weekends, the center offers grief counseling, community resources referrals and specialized groups. If you are in crisis, call the National Suicide Prevention Lifeline at 800-273-8255 or reach out to the Crisis Text Line by texting 'Home' to 741741. Other helpful organizations: The Columbia Lighthouse Project and Children's Services Council of Broward.